In Orange County, surfing is much more than a fun, physical activity— it is a way of life. The surf culture is virtually inescapable, and it permeates all facets of our local society. From San Clemente to Huntington Beach, we are extremely fortunate to have some of the best waves in the world. Whether you’re a weekend warrior of daily shredder, chances are you have experienced pain after a session. Did you know that chiropractic care can do wonders for keeping your body aligned, which will ultimately keep you out in the water longer? The most common pain surfers experience arises from paddling. After a long surf session, it is typical to feel soreness in the neck. 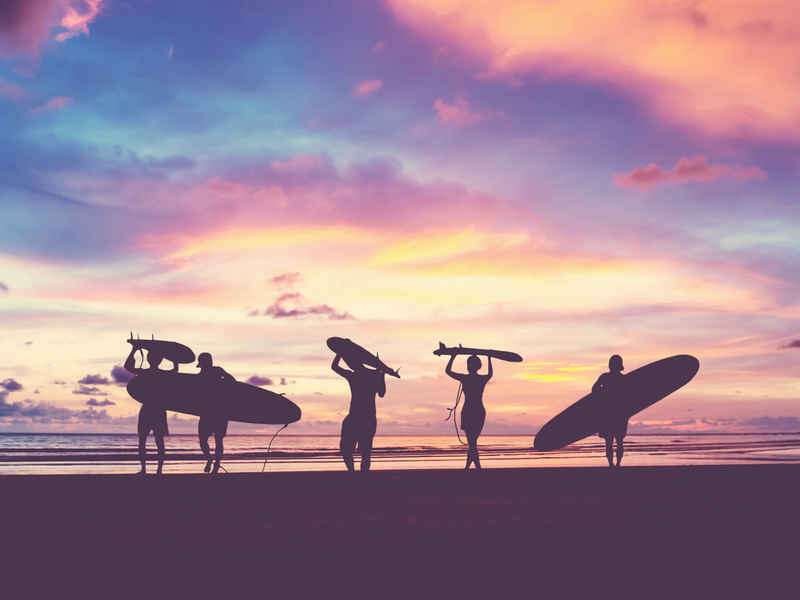 Other affected areas may include the shoulders, shoulder blades, and lower back, with many surfers also complaining of increased occurrences of headaches. The reason for the pain is often due to the muscles— and other structures in these areas— having sustained, severe demands on them. Paddling is repetitious. Combined with the twisting and compressive forces on the lower back when performing a turn on a wave, it becomes clearer why many surfers get sidelined with injuries. The position surfers assume while paddling (lying down, arched back, and poised neck) places significant, abnormal strain and stress on the rotator cuff muscles. Rotator cuff muscles are responsible for supporting and stabilizing the shoulder joint. Chronic strain, in the form of tendinitis, will result from improper overuse of these muscles, and optimal paddling power and efficiency will decrease. 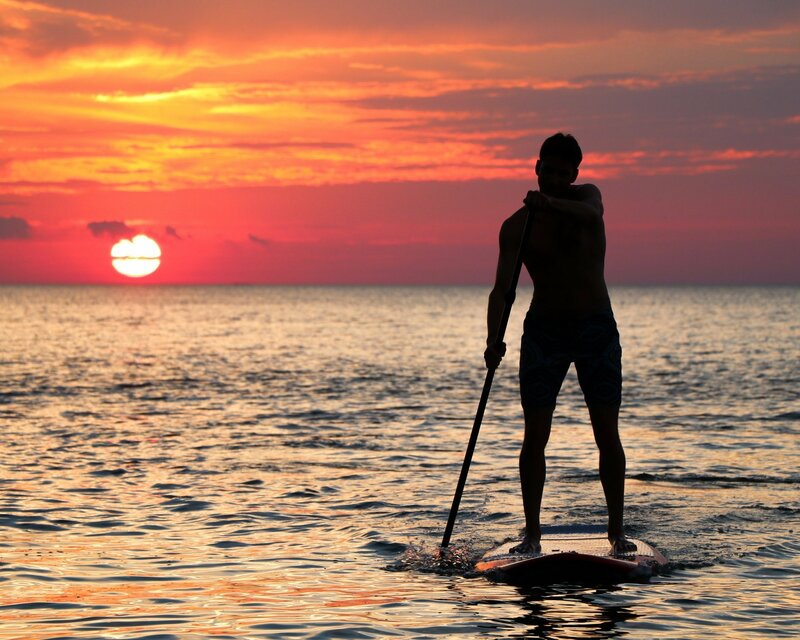 At Premier Health Chiropractic, we take a holistic approach to treating surfers suffering with paddle pain. The first step involves soft tissue manipulation. This will greatly aid in decreasing muscle soreness and stiffness. One of the main benefits of soft tissue manipulation is patients will experience immediate and sustained relief after the initial treatment. The next step involves chiropractic adjustments. The severity and location of the pain will dictate the specific adjustments that will be performed as well as how frequently they should be performed. In most instances, patients will be able to correct their issues within a dozen visits. Finally, we will teach patients various gym routines to reestablish normal muscle activity, build strength, and increase endurance. We also introduce them to effective stretching exercises. Stretching can not be emphasized enough; it is arguably the most important thing you can do to get you off the beach and into the water. Surfing is a wonderful exercise for complete body wellness. Many surfers claim it is the only way to achieve the perfect balance of mind, body, and soul. At Premier Health Chiropractic, we celebrate this sentiment, and it is our number one goal to keep you surfing up and down our beautiful coastline for many years to come.